I really like ordering RPG books from Lulu.com. Not only I believe their printing and binding is superior than DriveThruRPG, they have discount coupons and free shipping from time to time, which helps those not living in US and Europe a lot easier! But every time I share coupons for it, someone will ask for recommendations. There are some lists around the internet, but they are not so up to date and some are harder to find. So I am gonna build one slowly. Adding books, magazines, zines and whatever else we can find there that I find useful and intriguing for OSR games. Next time you come here, I will have more! If you have suggestions, comment below! Sharp Swords & Sinister Spells - My rules light old school sword and sorcery RPG. Sharp Swords & Sinister Spells - Addendum - A supplement with some optional rules and more tools and resources for the Referee. Solar Blades & Cosmic Spells - My heavy metal science fantasy old school RPG. Dark Streets & Darker Secrets - My action horror street and sorcery RPG. Perdition - The Fantasy Game that makes the setting shape this OSR ruleset by Courtney Campbell. Untold Adventures - Deluxe Edition - A great simple OSR game by James Spahn. The Collected Pits & Perils - The collection of the great minimalist game of Old House Rules. The Nightmares Underneath - A OSR game with cool twists and subsystems in a world where dungeons are manifestations of nightmares. Blood & Bronze - An old school RPG with unique system and a sword and sorcery setting similar to Mesopotamia. White Star: Galaxy Edition - Science fantasy RPG with a classic White Box system. Crimson Blades 2: Dark Fantasy RPG - With a familiar yet different set of rules, Crimson Blades gives you fantastic old school-style dark fantasy/sword & sorcery role-playing. Warriors of the Red Planet RPG - A game of classic pulp, of “Sword & Planet” science-fantasy with a very White Box approach. Freebooters RPG - What if the first RPG was inspired by epic tales of the buccaneers and pirates of the Caribbean? Raiders! of the Lost Artifacts - Pulpy adventures in lost words in the style of Indiana Jones with a White Box chassis! Colonial Troopers RPG - A hard science fiction RPG compatible with the original fantasy roleplaying game and subsequent editions. The Front WW2 RPG - This is a WW II Roleplaying game that lets you game in a world at war. Whitehack – Second Edition - A streamlined and very flexible old school rule system. One of my favorites. Delving Deeper Reference Rules Compendium - This is an OD&D Retroclone. Maybe my favorite one. Really cheap and accessible. OSRIC - THE 1st Edition Retroclone to have. Villains and Vigilantes 3.0 Mighty Protectors - The newest edition of Villains & Vigilantes! Villains and Vigilantes 1.0 Softcover - First edition of Villains & Vigilantes. Vieja Escuela: the role-playing game - Minimalist retroclone, based on the most famous role-playing game of all time. A condensed manual, with all the necessary rules to start a game. Labyrinth Lord: Revised Edition - My first OSR game, which captures perfectly the feel of early 80s Basic D&D. Advanced Edition Companion - A supplement for Labyrinth Lord making it more like AD&D but keeping the elegance and simplicity of B/X. Starships & Spacemen Second Edition - A B/X version of the space exploration game! Mutant Future - A mash up of Gamma World with 80s D&D! Apes Victorious - A B/X interpretation of a RPG in the likes of The Planet of Apes. Crimson Blades 2 - Dark Fantasy RPG - A sword and sorcery game inspired by classic D&D. SURVIVE THIS!! Zombies! 2nd Edition - Old school zombie survival game by Eric Bloat. Dark Places And Demogorgons - An old school RPG of kids investigating weird stuff in the likes of Goonies and Stranger Things. You can find many supplements for it here. Mystery Men! Second Edition - A rules lite game about crime fighting super heroes. Song of the Sixgun - A quick and easy system to replicate Eurowestern action in a tabletop RPG. Tales of the Space Princess RPG - A rules light dungeon crawl RPG in space! Runequest 1st Edition - The classic Runequest RPG in its first Edition! Metagene Super Hero Roleplaying Game - Rules light super hero game. Adventures on Dungeon Planet - Adventures on Dungeon Planet is a science fantasy supplement for Dungeon World. 43 AD - A dark RPG with elements of horror set in the old Roman Empire. BLUEHOLME™ Journeymanne Rules - A reincarnation of the classic Holmes D&D with extended rules! Dark Dungeons - A gigantic tome of rules and options, based on the Rules Cyclopedia. FASERIP - A clone of the classic Maverl Super Heroes RPG from TSR. BLUEHACK - A reinterpretation of the classic Holmes edition with a Black Hack twist. Low Fantasy Gaming - Low Fantasy Gaming is a tabletop RPG built for sword & sorcery adventures in low magic worlds. Rogue Space: The Dark Frontier - Rogue Space started as a simple Pocket Mod game using 2d6. Heroes & Other Worlds Adventure Game - Heroes & Other Worlds is influenced by Melee, Wizard, TFT, and the Moldvay edited version of Basic D&D. BLADES Blades & Black Magic Book 1 - BLADES is the first book of the Blades & Black Magic adventure game. RAD-HACK - A fast and fun post-apocalyptic game. Zenobia - A 2d6 sword and sorcery game from the same author as 43 AD. The Deep Dark - A minimalist role playing game designed with modern theory principles to invoke an old school, or OSR feel during play. Cavemaster Role-Playing Game - An award-winning Stonepunk role-playing game of Pleistocene adventure using the Habilis game system. It's the RPG that cave-men played! Stay Frosty - An OSR game of future marines versus whatever the universe can throw at them. Use these rules to play games in the style of your favorite military sci-fi movies and video games. 3D6 Supers 2nd Edition - D6 Supers 2nd edition provides players with rules to run exciting action in any comic book universe! Yoon-Suin - Weird eastern themed setting with a lot of creative content, tools and resources to make the campaing unique and alive. Ice Kingdoms Campaign Setting - Ice cold north setting with nordic inspiration. Eilean Dubh: The Black Isle Gazetteer - Eilean Dubh: The Black Isle is a fantasy setting created through the Tenkar's Tavern G+ community. Narcosa - Crowdsourced setting book for old-school games of psychodelic adventures. Hubris: A World of Visceral Adventure - A great weird post-apocalyptic gonzo setting for DCC RPG with tons of tables! Mad Monks of Kwantoom - A setting with new character races and classes, crazy unique creatures inspired by matchbox pictures coming straight from China. Uresia: Grave of Heaven - Complete system agnostic setting. Very cool! Adventures on Gothic Earth - Rules, monsters, spells, and setting mechanics for running old-school fantasy role-playing games on Gothic Earth. Nowhere City Nights (DCC RPG) - A modern urban fantasy setting for DCC RPG. The Children of the Sun, an Umerican Gazetteer (DCC) - A supplement for the Umerica setting of DCC RPG detailing New Mexico region. Umerican Survival Guide - A gonzo post-apocalyptic setting for DCC RPG. The Chaos Gods Come to Meatlandia - A weird fantasy setting for OSR games. Midlands Low Magic Sandbox Setting - 365 pages of low magic, low prep, customisable sandbox, in a “points of light” medieval fantasy realm. The doodle factory in the skies - The doodle factory in the skies is a collection of 20 illustrated floating locations. RAEDWALD - Rædwald is a world where the bond of the warband, the oath of loyalty between warrior and king, your word, your honour and your status means everything. Spores of the Sad Shroom - A spore-filled series of caves where everyone is sad, sad, sad! The Hell House Beckons - A haunted house toolkit to make each journey inside it unique. Across the White Marsh - Adventure for Blood & Bronze focusing on hexploring the desert around a city-state. City of Poison - Series of dungeons for The Nightmares Underneath. The Wondrous Hoard - Adventure for Blood & Bronze, with sword and sorcery feel. Thralls of the Sun - Adventure for Blood & Bronze, with sword and sorcery feel. Deep Carbon Observatory - A great adventure of weirdness, treasure hunt and horror. Stonehell Dungeon - Into the Heart of Hell - A sequel to the above. Stonehell Dungeon - Down Night-Haunted Halls - A great megadungeon by Michael Curtis, presented in small one page dungeons portions. ASE1: Anomalous Subsurface Environment - A great megadungeon with gonzo and post-apocalyptic setting in the mix. ASE2-3: Anomalous Subsurface Environment - The sequel to the one above with more focus on the dungeon itself! DemonSpore - An adventure by Matt Finch, one of my favorite authors. Shroom people are making their own god! VA1: Valley of the Five Fires - This mongol-inspired module supports sandbox style play but includes several traditionally detailed adventures. TM1: The Ogress of Anubis - Sword and sorcery inspired and with egyptian themes adventure. The Castle that Fell from the Sky - A great gonzo adventure of with a sky that fell from the sky!!! Bad Myrmidon - Greek inspired adventuere by Rafael Chandler. One Year In The Savage AfterWorld - A book with a LOT of adventures for post-apocalyptic games! Riders of the Black Sage - A Hateful Place adventure in a Hellish alternate version of Arizona. Slave-Drones of the Fantas-Ti-Plex - Adventure for the fantastic gonzo post-apocalyptic setting for DCC RPG by Reid San Filippo. The Village and the Witch - A toolkit adventure to generate a weird village and a witch that terrorizes it. Nowhere City Nights: Shade Hunter - An adventure for Nowhere City Nights setting of DCC RPG. Ruins of the Undercity - A solo adventure with lots of random tables and generators that can easily be adapted for group play! The Nameless City - This module by Alphonso Warden is loosely based upon the eponymous short story by HP Lovecraft, and is designed for characters level 7-10. V5 Palace of the Vampire Queen: Castle Blood - Classic dungeon crawl to hunt the terrible and mischievious Vampire Queen! Mischievous Monsters - Several leagues offthe main road is a portal to the realm of fairy; a ring ofstanding stones resting in a clearing surrounded by ancient trees. Advanced Adventures Compendium 1 - This book compiles the first 10 Advanced Adventure modules. Advanced Adventures Compendium 2 - More 10 Advanced Adventures! Advanced Adventures Compendium 3- And more 10 Adventures! Lots of goodies! Advanced Adventures Compendium 4- Anyone asked for more compilations of Advanced Adventures!? Cave of the Cybersteed - A lost colony ship adventure module for 4 to 6 players. Of Beasts and Men - Roaming through the Dunderro Wilderness following a treasure map that you hope leads to a great treasure. The Red Prophet Rises - Trouble stirs in the Borderlands. Khazra, Red Prophet of the Bull God, has united the fractious People of the Bull and proclaimed the promised time is nigh. The Willowmere Vagabonds - Strange adventure in a forest with mushrooms faeries and worse things! The Nevermore Mines - Adventure in a mine full of nightmares! Secrets of the Wyrwoode - Revange of the savage druids adventure! Outlive, Outsmart, Outkill! (DCC RPG) - An adventure for DCC RPG setting Nowhere City Nights. Cast Tower of the Blood Moon Rises! (DCC RPG) - For 2nd and 3rd level DCC RPG characters. Theater of the Hammed (DCC RPG) - A very interesting adventure with unique rules for DCC RPG! The God-Seed Awakens - Can you stop a god from awakening? A DCC RPG adventure. The Ruined Hamlet/ Terror in the Gloaming - A double adventure for OSR games. Adventures at Rainbow Lodge - An exploration focused adventure for OSR games! Nowhere City Nights: Shade Hunter - An adventure of mysterious murders for Nowhere City Nights. In the Prison of the Squid Sorcerer - A series of small dungeons for DCC RPG. The Black Blade of the Demon King - A Stormbringer inspired adventure for OSR RPGs. The Vanilla Adventure - An introductory adventure for Old School Games. Mudwarren Alley - A 12 rooms dungeon that feature a void beaver. This was a collective project done on G+. Cosmic Crawl - A cosmic map composed of 12 locations, each locations contains a description and events and discoveries random tables. The Kobolds' Art Exhibition - The book present a tribe of kobolds who move from dungeon to dungeon in search of artworks to collect. Spinetooth Oasis - A OSR module featuring a oasis as a adventure location described in 20 areas, fully illustrated. Gormand's Larder - Gormand's Larder is a collection of illustrations that create together a random dungeon. The Odboxx of Zoforon - A module for characters level 5-7. Compatible with 0e, 1e, & B/X fantasy wargame systems and retroclones. The Kringle Castle Invaders - A module for characters level 2-4. Compatible with 0e, 1e, & B/X fantasy wargame systems and retroclones. Tomb of the Sea Kings - Long ago, before the Great Purging of the Island Empires, there were 80 Sea Kings. The Chaotic Caves - he Chaotic Caves is suitable for a group of first to third level characters, and a number of pregenerated characters are provided for those who wish to get underway quickly. Saga of the Giants - Need a high-level adventure to really challenge your players? How about six of them! Tales from the Laughing Dragon - Designed for a group of beginning player characters, making it a great way to jump in to the Basic Fantasy RPG! Fortress, Tomb, and Tower: The Glain Campaign - Fortress, Tomb, and Tower: The Glain Campaign is a multi-module for use with the Basic Fantasy Role-Playing Game. Monkey Isle - Monkey Isle is an adventure module for the Basic Fantasy Role-Playing Game. Strongholds of Sorcery - Strongholds of Sorcery is a mid-level adventure series for the Basic Fantasy Role-Playing Game, featuring four very different wizard's fortresses. Morgansfort: The Western Lands Campaign - Morgansfort: The Western Lands Campaign is a campaign module (a group of connected adventures) for the Basic Fantasy Role-Playing Game. The Necropolis of Nuromen - The Necropolis of Nuromen is the first instalment of three modular quests designed to let the referee introduce a group of 1st level characters to the thrills of Underworld exploration. Zjelwyin Fall - This module is designed for five or more characters of 2nd or 3rd level who are willing to brave the terrors of planar travel! Gongfarmer's Almanac 2018 - Compilation of the community created zine for DCC of 2018. Gongfarmer's Almanac 2017 - Compilation of the community created zine for DCC of 2017. Gongfarmer's Almanac 2016 - Compilation of the community created zine for DCC of 2016. Gongfarmer's Almanac 2015 - Compilation of the community created zine for DCC of 2015. The Metamorphica Revised - Gigantic toolkit and generator for a lot of things, from mutations to strange technological artifacts. The Nameless Grimoire - Magic book for The Nightmares Undearneath with differente spell system and tons of new spells. Fire On The Velvet Horizon - A system neutral work of art monster manual to inspire your game. Original Edition Delta: Book of War - Maybe one of the best systems for mass combat for OSR games! d30 Sandbox Companion - An excellent book of random tables to use with you sandbox and hexcrawling games. d30 DM Companion - Another book of random tables very useful for generating places, npcs and even monsters on the fly. Augmented Reality - Cyberpunk toolkit of awesomeness! Petty Gods: Revised & Expanded Edition - A community created book of gods of all sorts! PX1: Basic Psionics Handbook - Psionics supplement for OSR games, especially B/X focused ones. Fifty Fiends - A monster book of demons and fiends. CC1: Creature Compendium - Collected herein are over 200 monsters from Abysmal to Zathoa. Teratic Tome - A terrific monster book by Rafael Chandler. Obscene Serpent Religion - A toolkit to generate terrifying serpent worshiping cults. Crawling Under a Broken Moon Compilation - A compilation of all the CUaBM zines for DCC RPG. The Little Book of Adventuring Classes Vol. 1 - Some cool new classes for OSR games with a slightly darker themes. Umerican Survival Guide, Delve Cover - The Gonzo Post-Apocalyptic setting from CUaBM for DCC in book format! UX02: Mind Games - Rules for Psionics in DCC RPG. Underworld Kingdom Volume One: Explorers of the Unknown - New rules and guidelines, 200 random names, quirks, prophecies, mutations and equipment lists for Underworld campaigns. Underworld Kingdom Volume Two - Dark Gods, Dark Magic - Second book in the series focused on magic and dark gods! Outer Space Raiders Omnibus No. 1 - A lot of stuff for space opera campaigns, classes, monsters, NPCs and what not! Magical Theorems & Dark Pacts - A very cool new take on magic classes and new spells for OSR games. WIZARDS MUTANTS LASER PISTOLS! VOLUME 1 COMPILATION - Zine of gonzo stuff for OSR Games, with mutants, aliens, laser weapons and so much more! KEFITZAT HADERECH - Incunabulum of the Uncanny Gates and Portals - Great book for portals to other worlds and dimensions. Transylvanian Adventures - Action Horror adventures for DCC RPG! Companion Expansion - A recreation of what would have been the Companion book of D&D B/X. UX02: Mind Games - Psychic powers for DCC RPG. Twisted Menagerie Manual - A manual of monsters for the post-apocalyptic Umerica setting of DCC RPG. 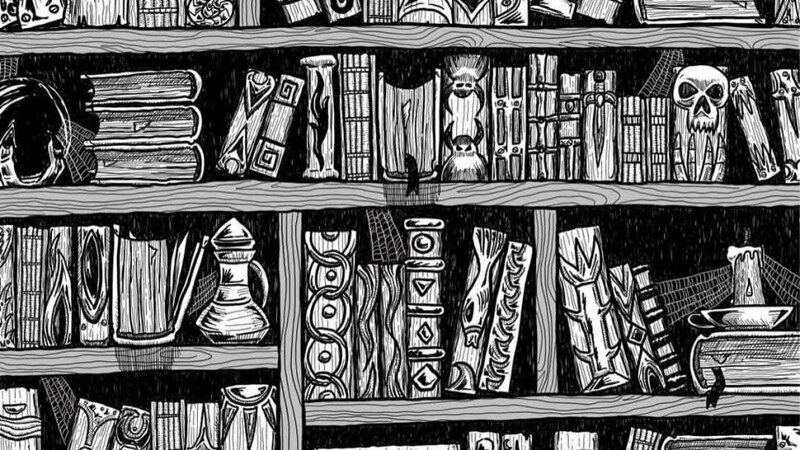 The Wizard's Inheritance - A collection of 100 illustrated magic items. Useful as a campaign setup or as a list of random items. The Tome of Terrors & Treasures - Monster supplement for Heroes & Other Worlds. The Basic Fantasy Field Guide - You've come to the right place! This tome contains over 180 creatures for use with the Basic Fantasy Role-Playing Game. Concise Collection of Classes - This supplement for Four Against Darkness details nine new character classes. Deadly Dungeons - Collection of 40 tricksy trapsy rooms ready to be plopped into the middle of your next dungeon. Fight On! Compiled Compilation +4 - Compilation of first four issues of this amazing OSR Magazine. Fight On! Foliated Folio +8 - Compilation of the next 4 issues. The Peridot, Issue 1 - Issue #1 of The Peridot, an RPG 'zine from the creater of Yoon-Suin, in PDF. Black Dogs Zine - Spotlight where you can find all the issues of the LotFP Black Dogs zine. NOD - The magazine for the Blood & Treasure RPG, which can be used with pretty much any OSR game. Secret Antiquities #1 - American folklore, weird history, and urban legends as seen through the unique lens of DCC RPG. Chromatic Soup 01 - This collective project explore two settings, a large swamp and a rice field delta, through a collection of custom character classes, locations, monsters and random tables. Chromatic Soup 02 - A second helping of Chromatic Soup, this time with an Applachian Autumnal Americana vibe. Star Sword: The Official White Star Magazine (Issue #1) - The title says it all, right? Story Games Name Project - Random Tables of various styles of names, from different cultures, both real and ficticious. Gaming Journals - Andy's great gaming journals to keep your campaign notes organized! Really good! The Lazy Dungeon Master - A great book of tips and articles on how to prepare less for better games. Towers of Krshal - Random tables, lists, generators and maps for city focused adventures. Legends of Krshal - Second book in the series with hundreds of rumors and ideas for urban campaigns! On the Non Player Character - Book focused on creating and running NPCs. Dyson's Delves I - A lot of maps and adventures with the great cartography of Dyson Logos! Dyson's Delves II - More maps and adventures by Dyson Logos! 2016 Dodecahedron Cartographic Review - More maps for Dyson Logos ready to use! Check out the 2015 and 2014 versions too! The Dungeon Dozen - One of the most creative and fun book of tables I own! Book of Lairs - 26 lairs for fantasy tabletop role-playing games, including maps, lair details, and several new monsters. Book of Lairs: Urban Encounteres - Just like the above one, but for urban adventures. Book of Lairs: Vale of the Iron God - Vale ofthe Iron God is the third Book of Lairs, containing ten lairs/dungeons filled with monsters and treasure. DCC RPG Reference Booklet - A reference booklet with all the commonly-used charts from the DCC RPG. The Location Crafter - RPG supplement designed to help Game Masters create exciting locations for characters to explore, complete with encounters, fast and easy. The Creature Crafter - A supplement designed to help Game Masters build monsters for any role-playing game. Creatures can be created before you begin, or on the spot during play. Is it OSR? Who can say? I've been meaning to ge this for a long while!!! You might find much more on a search of "OSR RPG" on Lulu. Thanks for the suggestion! Will add them soon! Oh, and your page could benefit from alphabetizing each section, when you can! I enjoyed this post and pointed some people towards it on my podcast this week.